...no electrical power, no refrigerators, no Internet, no computers, no TV, no hyperactive law enforcement, and no Safeway or Walmart. They got things done or else we wouldn't be here! You'll discover the lost remedies used by our ancestors for centuries. And I'm not talking about rare and complicated insights that only a botanist knows. I'm talking about plants that grow in your backyard or around your house. Very common weeds.For example, this common driveway weed is one of nature's most powerful survival plants, it's not only edible, but it's super nutritious, easy to identify, has no poisonous look-alikes and it is used as medicine. You'll also discover 25 other survival foods that we've lost to history.You can bring them back to life and improve your stockpiles, so you'll never run out of food in a crisis.Or you can spend fun weekends with your family recreating old survival recipeslike Mud Apples or Mormon Johnnycake. You'll find out the techniques and methods used by the wise sheriffs from the frontiers to defend an entire village despite being outnumbered and outgunned by gangs of robbers and bandits, and how you can use their wisdom to defend your home against looters when you'll be surrounded. You'll learn to do when there is no more ammo to be had, how people who wandered the West managed to hunt eight deer with six bullets,and why their supply of ammo never ran out. You'll master "The Art of Poultice." If you explore the ingredients from which our forefathers made poultices,you'll be totally surprised by the similarities with modern medicines. Well...how would you feel in a crisis to be the only one from the group knowledgeable about this lost skill? You'll gain the lost knowledge of sailors from the XVII century who preserved water in their ships for months on end even years and you'll find out how you can use this method to preserve clean water for your family cost-free. 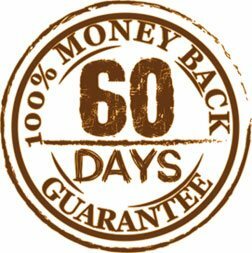 ...for 60 days and unlimited e-mail access where you'll get to ask me whatever you want. 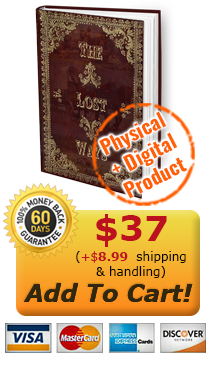 Q: Is The Lost Ways available in physical format? Yes, The Lost Ways is a 318-page book available in US. Q: Do I have to be a prepper to enjoy The Lost Ways? Absolutely not. 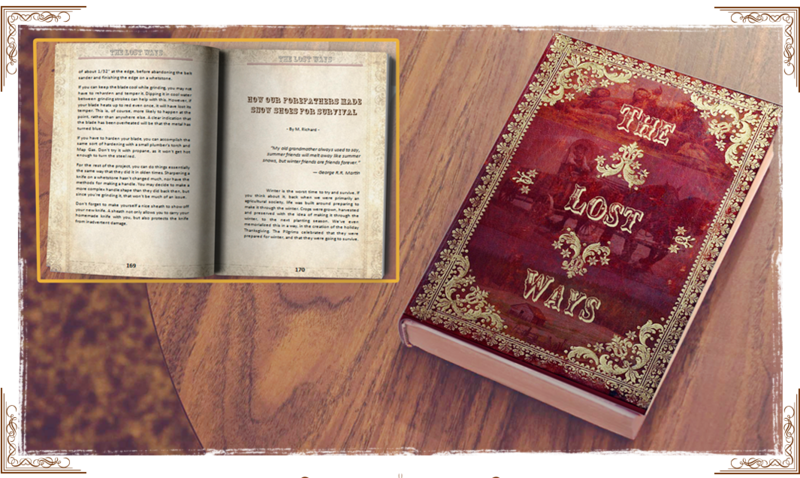 The Lost Ways is NOT for incredibly rich "doomsday" preppers. Think about it this way: Although our grand-grandfathers were more prepared than most of us, they were not preppers. 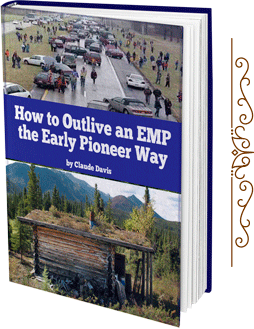 This book is written for all Americans who want to keep our forefathers knowledge alive and to take advantage of it no matter if they are interested in: homesteading, survival, gardening, off the grid living, or if they simply want to be more self-sufficient. Q: Is the "Handshake Guarante" really risk-free? Yes. Just simply send me an e-mail and ask for a refund and it will be granted in 24h. Q: Will I save money in the long run? 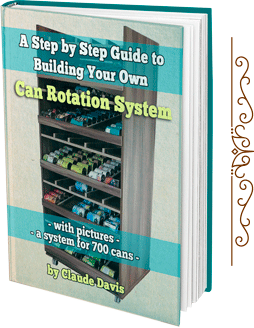 Self-sufficiency will save you money... not only on the long run, but starting on day one. But of course, it all depends on you. If you choose to follow the old self-reliance methods that you'll find in The Lost Ways, be sure that you'll save lots of money.